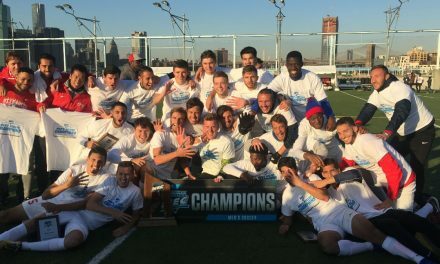 BROOKLYN, N.Y. — St. Francis Brooklyn secured its second consecutive Northeast Conference regular-season championship after defeating the LIU Brooklyn men, 2-1, in extratime at LIU Field Friday afternoon. 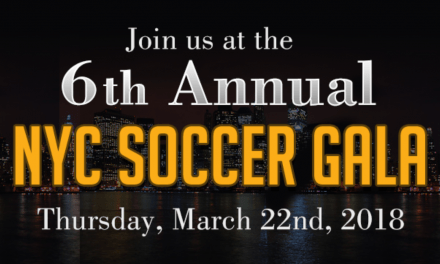 The Terriers will host the upcoming NEC Tournament at Pier 5 Brooklyn Bridge Park and will take on No. 4 seeded Robert Morris in one semifinal next Friday afternoon. The Terriers improved to 12-4-1 overall and finished 6-0-1 in league. St. Francis Brooklyn has not lost a conference game the last two seasons and is a combined 12-0-2 during the period. The Terriers have allowed two goals in those 14 matches. Senior forward Nadim Saqui came off the bench to score the golden goal in the 102nd minute to give the Red & Blue the victory. A deflection inside the Blackbirds’ penalty area caught goalkeeper Anthony Sciola off-balance, and Saqui headed his first career goal into the back of the net. Sophomore striker Matteo Caribotti and senior defender Collyns Laokandi were credited with assists, which originated off a Terrier throw-in. The hosts scored in the 61st minute to grab a 1-0 advantage. Sophomore Frej Engberg headed a cross into the box and the Terriers failed to clear it. Rasmus Hansen sent the ball to Christoffer Bjarre Solbakken, who fired an attempt in from six yards. St. Francis Brooklyn answered three minutes later in as senior Dominick Falanga scored his team-leading sixth goal of the season. Junior midfielder Amir Islami found Falanga waiting in the middle of the box. Falanga drilled the ball into the lower right-corner of the net. St. Francis keeper Roberto Bazzichetto was sensational in goal as the senior made seven saves, including several of the outstanding variety. The Blackbirds (5-8-2, 4-2-1) earned the second seed and will meet No. 3 seeded Fairleigh Dickinson in the other semifinal. The semifinal winners will meet at Brooklyn Bridge Park in the championship match next Sunday.